Among the bright lights, big screens and over-eager PC manufacturers tossing cheap swag into swarms of excitable nerds at PAX Australia 2018 stood a quiet little booth, nestled in the back of the sizeable PlayStation zone. A quaint setup; huge, soft pillows arranged around one side of a dome, itself made of triangular panels and closed off from the busy show floor save for an entrance and a handful of viewing windows. On the opposing side of the cushions, the gentle glow of a television screen, and the even gentler face of a man presumably exhausted by the whole ordeal of a weekend-long convention, yet ready and willing to share his passion with anyone who would enter. 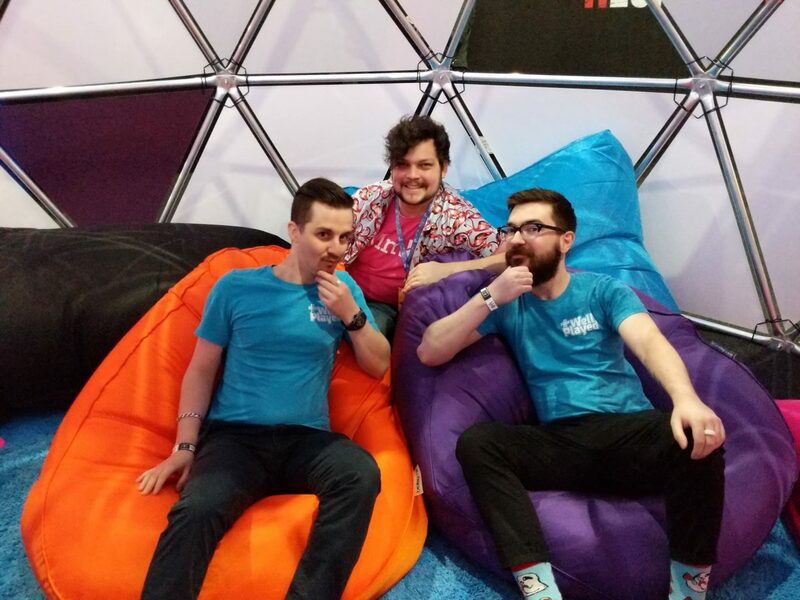 It was in this place that myself, along with my fellow WellPlayed good boys, Zach Jackson, Edward Darling and Kieran Stockton would be introduced to game designer and programmer Daniel Kidney, to talk about MediaMolecule’s Dreams. As we sat ourselves down on the giant cushions, silently thanking the PAX gods for the opportunity to be off of our feet for a time, Daniel turned to me and asked one very hard question. “So how much do you know about Dreams?”. Okay, so not really a hard question. I knew the answer. I’d been following Dreams ever since its announcement, and as a fan of MediaMolecule’s work on LittleBigPlanet and Tearaway, I was in a first class carriage aboard that hype train and consuming every new preview or video of the game I could find. So it was clear to me how much I did know about Dreams, I just had no idea how much I didn’t know. At this moment, I’m fairly certain I blurted out something like “well, um, I know what it is and what it can do”, which is probably exactly what I said my first time in bed with someone, though between the two scenarios I think Dreams had me more excited. I must have said the right thing though, because Daniel then decided he’d take us on a more in-depth tour of Dreams than most of the demos he’d given over the weekend. For those not in the know, Dreams is, at its core, a game development suite with simple and intuitive, yet unbelievably deep and comprehensive tools with which to create almost any experience imaginable. Think the LittleBigPlanet level creator but with zero boundaries and an even more tangible and tactile approach to creation. 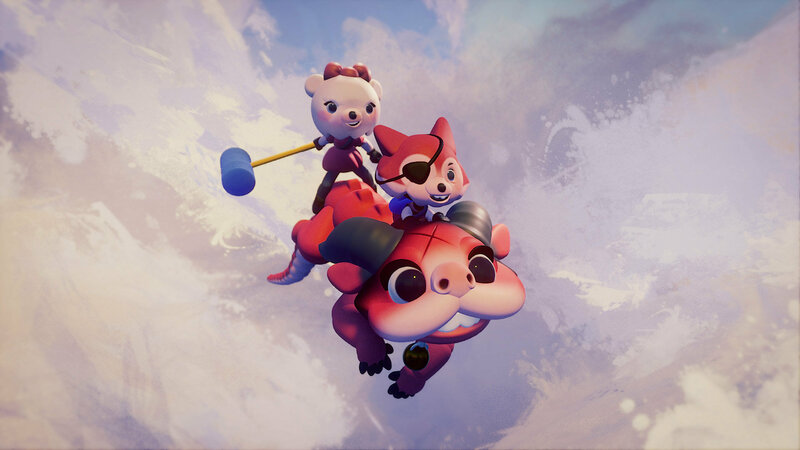 From sculpting 3D models, to animation, to level and gameplay design, audio and music composition and everything between, it’s all possible in Dreams and with all of the tools and the creative freedom that actual game developers have at their disposal. It’s not limited to games either, infinite possibilities exist to create rich interactive or passive experiences, on any scale. Here’s where I start to feel a distinct feeling of anxiety. As anyone who’s ever pursued a creative outlet can attest to, a blank canvas with no boundaries is the perfect recipe for being utterly overwhelmed. Doubly so when that canvas doesn’t even have to be a canvas. Of course MediaMolecule know this, as does Daniel, and rather than jump into our demo with a clean slate he opens up a creation-in-progress, a dreamy little level set in space and starring an adorable astronaut… thing. After reiterating that he’d be just scratching the surface with what can be achieved in Dreams in this presentation, Daniel then proceeds to run us through a daunting number of things. With the speed and grace of someone who works with the software every day of his working life, Daniel shows us how to place and manipulate scenery, objects and characters, how to create game logic and mechanics and even gives us a crash course on sound design and composing original music. I’ll save the nitty gritty for further features, suffice to say that behind every simple and intuitive tool in Dreams is a mind-boggling degree of control and customisation, meaning anybody with any amount of skill can make something, and the only limit is their own creativity and willingness to dive in deep. It’s worth noting that before going in not all of the WellPlayed PAX crew knew what Dreams was about, so this crash course definitely prompted a lot of burning questions, and Daniel was more than happy to answer them. He had a great crowd to work with, to be fair. I’ve dabbled in and continue to hold an interest in game design and storytelling, Edward is a dab hand at video editing and animation, and Zach is no stranger to music and composition. So there was something compelling to resonate with each of us. Except Kieran, who was more interested in how much phallic content he might be able to get away with. Sony are shouldering the responsibility of moderating that stuff, it seems. That led to an interesting point though; how does a company like MediaMolecule, known for their family-friendly games, approach the very real potential for trolls to run wild with these tools? Daniel’s response was an interesting one. Most developers, when opening up the inner workings of their games to fans to make mods or original content, do so from a neutral position, he posits. 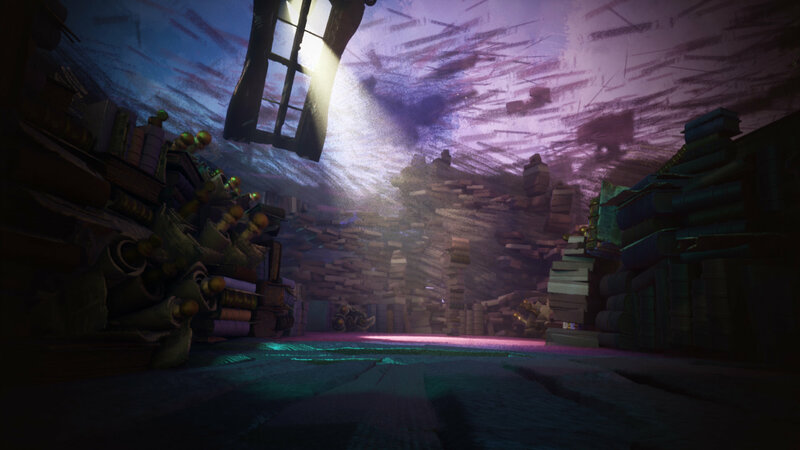 Where Dreams differs is that MediaMolecule are making strides to cultivate a positive, collaborative and inviting atmosphere from the beginning. One of the ways they’re doing this is by endorsing the notion that people take on roles in creating and curating content for the Dreams community. Don’t have an inclination to game design but love music? Why not just create music for others to use in their projects? Same goes for sounds, objects, characters, even game mechanics. You’ll even be able to cultivate themed collections of community-made stuff, kind of like making mixtapes but more about helping creators quickly find appropriate content and less about sharing your deepest emotions with someone before finding out years later they never even listened to it. Anyway, something else that came to mind when comparing Dreams to other games that give players creative freedom is the issue of performance. In the past, including in LittleBigPlanet, games with map/level editors would limit the number of objects or functions that could be placed in an effort to ensure custom creations still ran at playable framerates and didn’t break. So how does Dreams deal with that issue? The answer will shock you! Clickbaiting segue aside, MediaMolecule’s solution is smart, in a ‘why didn’t I think of that?’ fashion that is typical of so many aspects of Dreams. For starters, by using a voxel-based rendering engine (Daniel tells us the team actually looked back to the dawn of 3D graphics and imagined a world where voxels shaped the future, which is kind of badass) and a ‘soft’ approach to visuals, performance is already far less of an issue than it could be. “Soft is cheap”, Daniel says, unknowingly name-dropping my most recent adult video. 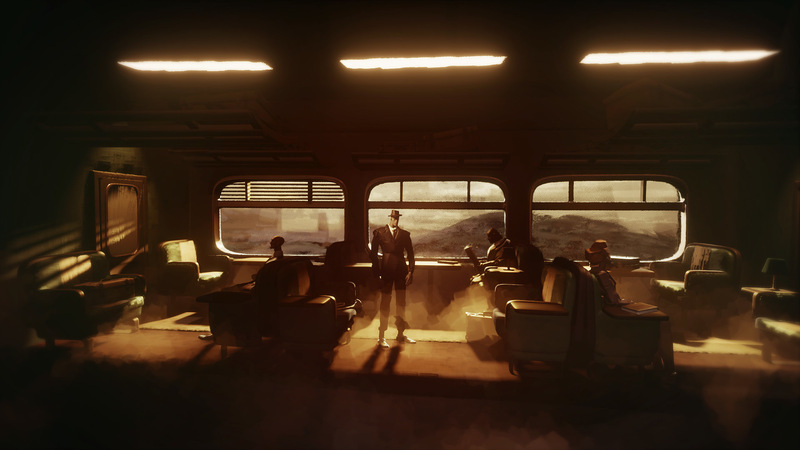 As a further measure though, Dreams is actually intelligent enough to identify issues in scenes that might be having an adverse effect on performance. Filled your level with millions of highly detailed Kieron Verbrugges? Dreams certainly won’t stop you, but a tooltip might suggest that cutting back could help your creation run a little better. One Kieron Verbrugge is more than enough. There’s a whole lot more than I could unpack from our time with Dreams at PAX Australia 2018, in fact I haven’t even touched on the game’s story mode, but that’ll have to come at a later date. The more I say about it the more I wish I was playing the damn thing right now. I can’t wait to get my hands on Dreams, despite the sheer anxiety that comes from knowing that it could take me literally anywhere, and that I may never need another game again. Because I can just make them.